MEF’s Global Consumer Trust Working Group has a dedicated work stream focused on regulation and looks at current and forthcoming legislation that may affect our members. Any company that collects personal information from consumers – via an app, mobile service or website – is subject to stringent rules on how that data is stored, shared and secured. Smaller firms especially often have to make-do, building compliance into their day-to-day operations as best they can. 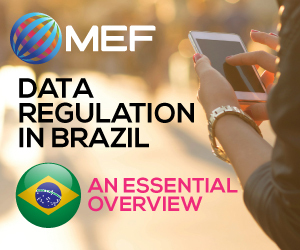 MEF and its members have created a series of business-friendly guides to data regulation in key markets to provide an overview of the rules governing personal information in a local market. 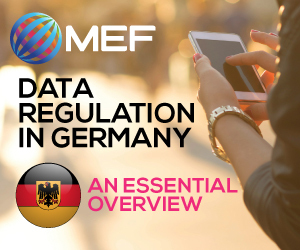 The guides are available for free download and look at regulation in Germany, the UK and Brazil, and were developed in association with MEF Members Dentons, Preiskel & Co and FAS Avogados. What data is considered especially sensitive? What happens if I am investigated? What penalties might I face?